Alguem sabe de mais alguma cosia sobre o caso? Felizmente há pessoas que não se deixam enganar, e logo essa imagem falsificada com olhos castanhos é difícil de encontrar. Está claro que o interesse daqueles no poder é ocultar esse fenômeno. Censuraram as partes do vídeo que mostram os olhos do garoto brilhando no escuro feito olhos de gato, e uma demonstração mais clara do teste de visão noturna. Os "céticos" assim ficam na posição cômoda de poderem duvidar, dizendo que ficou só na afirmação. E como os "céticos" não se importam em insultar as pessoas, acusá-las de desonestidade sem a menor evidência (possivelmente ainda fazendo comentários racistas para "corroborar" a desonestidade), então a credibilidade fica comprometida entre o povão ignorante que engole tudo que a grande mídia diz. Eles dizem que podem ser descendentes de antigos legionários romanos mas insistem em ignorar as características extraterrestres herdadas do povo Droppa. By 1962, he had allegedly deciphered them into a story that told of a spacecraft that crashed landed in the area of the cave, the Bayan Har Shan region and that the ship contained the Dropa people who could not fix it and therefore had to adapt to Earth. Further, his research claims that the Dropa people were hunted down and killed by the local Ham tribesmen for a period. The fresh search for the 'yeren', or 'Wild man', comes nearly 30 years after China's Academy of Science launched three expeditions in the late 1970s and early 1980s following a series of sightings of the creatures which are said to be 6ft 7in tall and covered in reddish-brown hair. In the most lurid accounts, reported by The Daily Telegraph in 1983, female members of the wild man species were supposed to have swept into villages in search of sexual partners, ravishing them as they lay paralysed in fear. Por outro lado, acho que a explicação extraterrena leva a vantagem pelo lado de transmissão genético-cultural da tecnologia. Como os chineses poderiam ser tão avançados, e produzir mercadorias tão baratas de outra forma? Claro que uma não exclui a outra, de qualquer forma, apenas a origem yeti como explicação singular parece ser incompleta. A herança genética extraterrestre também está presente na tribo Dogon, conforme pode ser lido abaixo. Os Dogons desenvolveram uma capacidade visual extraordinária, comparada ao poder de um telescópio e que foi perdida ao longo do tempo ficando restrita aos xamãs da tribo até se extinguir completamente. Tudo indica que antigos Dogons, antes da intervenção extraterrestre, tinham olhos azuis, interessante notar também que os leões eram brancos e tinham olhos claros, o que era estranho para o habitat da savana africana. Isso também leva a supor que os leões foram importados de um sistema planetário de Sírius e serviram de base para experimentos para a mudança da cor dos olhos da tribo Dogon e desenvolvimento da visão telescópica. Hoje em dia, pessoas com olhos escuros ainda guardam resquícios no DNA dessa acuidade visual melhorada pela manipulação genética alienígena. The White Lion is built and colored for great snow and ice and hearty survival. So, why are they reappearing once again in arid Africa? African prophesies, much like the Hopi prophecies regarding the birth of a White Buffalo heralding the ending of a great cycle of life and the beginning of a new one, lead us back to the roots of these Great Cats in all ancient civilizations as the heart of humanity and the soul of Nature herself, reminding us that we are unified with all species and connected to the stars. We of the 21st century have all but forgotten this inherent fabric of unity and have lost our own hearts along the way. Linda Tucker has done pain staking research and work with renowned archeologists, Egyptian historians, African Shamans, keepers of African lore and astro-arche0logists. The unprecedented connection between the White Lion and priests, kings, prophets and seers throughout history has its deep connection to the stars, the constellation of Leo and the beings that helped in the construction of the pyramids, the Sphinx and all the astronomical sites like Stonehenge. 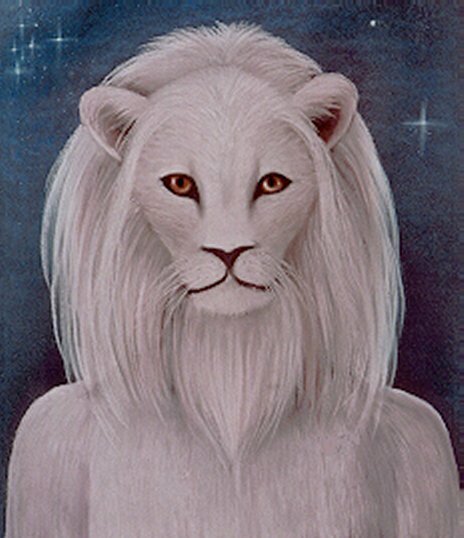 The White Lion bridges humans to not only their own true spiritual nature of love but to the stars themselves. As with the Lion of Judah, the Lions of God bring a message of Christ Consciousness, one of unity and of ancient truth that can help humanity transform through the coming changes. If we listen. The folklore surrounding black cats varies from culture to culture. In Great Britain, black cats are seen as lucky and are often given in token form to brides. The Scottish believe that a strange black cat's arrival to the home signifies prosperity. In Celtic mythology, a fairy known as the Cat Sìth takes the form of a black cat. Black cats are also considered good luck in Japan. Furthermore, it is believed that a lady who owns a black cat will have many suitors. However in Western history, black cats have often been looked upon as a symbol of evil omens, specifically being suspected of being the familiars of witches, and so most of western and southern Europe considers the black cat a symbol of bad luck, especially if one crosses paths with a person, which is believed to be an omen of misfortune and death. In Germany, some believe that black cats crossing a person's path from left to right, is a bad omen. But from right to left, the cat is granting favorable times. http://en.wikipedia.org/wiki/Lion_man_of_the_Hohlenstein_Stadel -- A lion-headed figure, first called the lion man (German: Löwenmensch, literally "lion human"), then the lion lady (German: Löwenfrau), is an ivory sculpture that is the oldest known zoomorphic (animal-shaped) sculpture in the world and one of the oldest known sculptures in general. Conheciam em sua mitologia, mas de onde lhes veio a idéia de um híbrido? Lembranças do Futuro? Reparem nos híbridos que estão sendo seguros por correntes nas mãos de homens - um deles até leva o dedo à boca, como uma tenra criança! Simples mitologia ou... uma realidade há muito perdida? Pois é... a evolução precisa ser urgentemente revisitada considerando todas essas evidências de manipulação genética pelos alienígenas, que muitas vezes aconteceu com a intenção de fabricar ferramentas biológicas de apoio aos projetos que eles estavam desenvolvendo. Veja o caso da coruja, por exemplo, claramente desenvolvida em laboratório a partir da combinação do DNA de aves com felinos, incluindo aí o DNA do leão branco de Sírius, para servir como ferramenta de monitoramento. However, in The Fourth Kind, which documents the encounters of Dr. Abigail Tyler of Nome Alaska and her patients. One of the striking aspects of the film is how the recurring imagery of a Barn Owl by Dr. Tyler and her patients serves as an abduction event harbinger, or possibly a confused memory of what the actual aliens look like. The eyes of an owl are powerful. So powerful, were humans to have similar capabilities, our eyes would need to be the size of small oranges. Of equal importance are the feathered cups around the owls eyes. Não fico surpreso com a semelhança entre a visão telescópica dos nativos de Dogon e a visão das corujas. 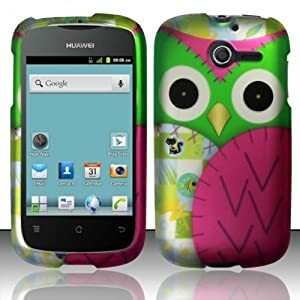 Assuming, you are and extraterrestrial and you want to know where your targets are in a human habitat, you send an owl. Once it detects a sound from inside the structure, it focuses its eyes in the direction. At that point, you'll know exactly who or what is in that structure, as well as their precise location. You'll likewise know if they are moving or at rest. Or in other words, an owl is the perfect E.T. surveillance tool for an abduction. Atualmente, a memória armazenada no nosso DNA aflora na forma de um simbolismo arquétipo para integrar o nosso cotidiano em situações de observação/monitoramento, como no caso abaixo. Reprogramming of Human Somatic Cells Using Human and Animal Oocytes. There is renewed interest in using animal oocytes to reprogram human somatic cells. Here we compare the reprogramming of human somatic nuclei using oocytes obtained from animal and human sources. Comparative analysis of gene expression in morula-stage embryos was carried out using single-embryo transcriptome amplification and global gene expression analyses. Genomic DNA fingerprinting and PCR analysis confirmed that the nuclear genome of the cloned embryos originated from the donor somatic cell. Although the human-human, human-bovine, and human-rabbit clones appeared morphologically similar and continued development to the morula stage at approximately the same rate (39, 36, and 36%, respectively), the pattern of reprogramming of the donor genome was dramatically different. 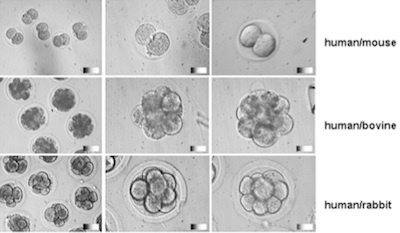 In contrast to the interspecies clones, gene expression profiles of the human-human embryos showed that there was extensive reprogramming of the donor nuclei through extensive upregulation, and that the expression pattern was similar in key upregulation in normal control embryos. To account for maternal gene expression, enucleated oocyte transcriptome profiles were subtracted from the corresponding morula-stage embryo profiles. t-Test comparisons (median-normalized data @ fc>4; p<0.005) between human in vitro fertilization (IVF) embryos and human-bovine or human-rabbit interspecies somatic cell transfer (iSCNT) embryos found between 2400 and 2950 genes that were differentially expressed, the majority (60-70%) of which were downregulated, whereas the same comparison between the bovine and rabbit oocyte profiles found no differences at all. In contrast to the iSCNT embryos, expression profiles of human-human clones compared to the age-matched IVF embryos showed that nearly all of the differentially expressed genes were upregulated in the clones. Importantly, the human oocytes significantly upregulated Oct-4, Sox-2, and nanog (22-fold, 6-fold, and 12-fold, respectively), whereas the bovine and rabbit oocytes either showed no difference or a downregulation of these critical pluripotency-associated genes, effectively silencing them. Without appropriate reprogramming, these data call into question the potential use of these discordant animal oocyte sources to generate patient-specific stem cells. Pode estar aqui a chave para o entendimento da visão telescópica do povo Dogon e demais híbridos humanos do passado. O nome popular anglófono é justamente barking owl, "coruja que late". O ornitorrinco e a equidna são outros exemplos de híbridos mais óbvios e famosos, mas desacreditados pelos evolucionistas ortodoxos, que negam a possibilidade de hibridação. Mas cada vez mais ela vem sendo aceita, e até mesmo dentro do ramo humano dos primatas. Já se escuta antropólogos postularem a possibilidade bastante certa de hibridação com neandertais e outros hominídeos, e uns ousam até mesmo afirmar a heresia de que lendas como o pé-grande e "almas" (um outro ser "lendário" do tipo pé-grande e yeti) possam ter um fundo de verdade. Não sei se "precisa" ser esse o diagnóstico, a genética da cor dos olhos é um pouco mais complicada do que o geralmente exposto em livros de ensino médio/básico, do azul ser totalmente recessivo e precisar de dois alelos iguais, não podendo então vir de pais de olhos castanhos. 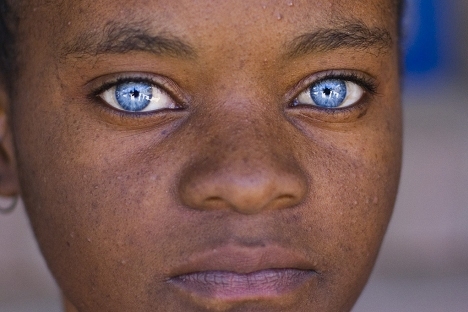 Pais de olhos castanhos podem ter genes para olhos azuis, e pessoas com olhos azuis podem ter genes para olhos castanhos. Eu não sei bem como seria a explicação, acho que simplesmente envolve mais genes do que só um. Junte isso a coisas como casais interraciais ou multirraciais poderem ter até gêmeos com fenótipos "raciais", e acho que é mais ou menos por aí o mais provável. Palpito eu. 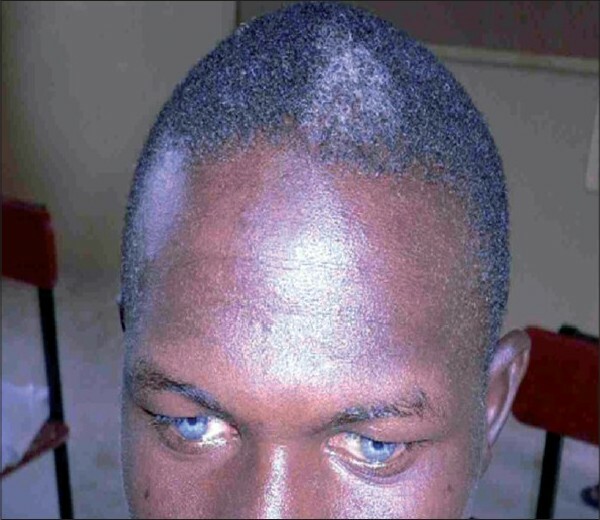 Uma característica interessante para o diagnóstico da síndrome de Waardenburg é a presença de uma mecha de cabelos brancos na cabeça. Então prevalece a hipótese extraterrestre. Deve-se ainda levar em consideração que não foi possível provar a origem autóctone terrestre dessa síndrome. Chegou a vez dos gatos índigos. 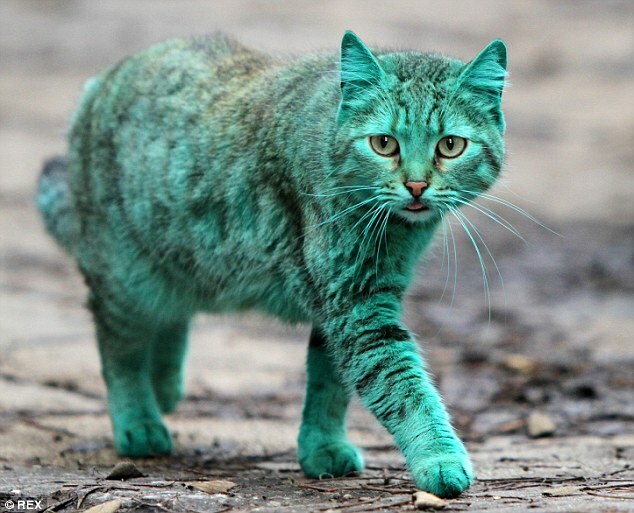 Bulgaria’s famous emerald green cat has finally reappeared after vanishing from the streets of Varna three days ago. The ludicrously-coloured moggy, who has become an internet sensation, was spotted prowling through the popular seaside resort to the relief of worried locals. The cat was also seen cosying up to a ginger companion – believed to be her son. The feline was not seen for three days, raising fears that she has been abducted as a result of her new found fame. Some residents of the popular tourist destination insisted that rain had washed the animal’s colour away and say a similar-looking green cat was seen last year. 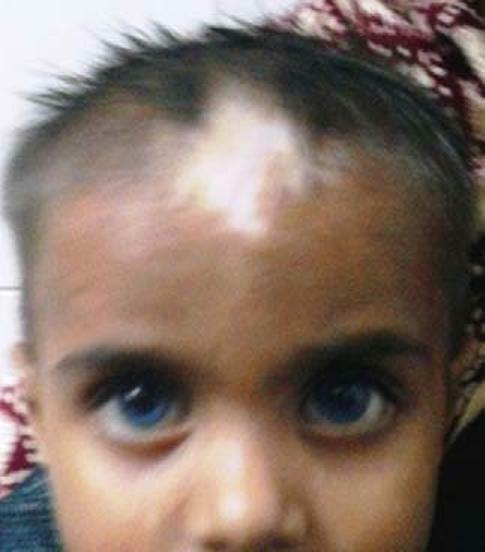 Although the unusual colour was initially thought to have been caused by an act of cruelty, reports emerged the green shine was from paint at the nearby construction yard where she sleeps. 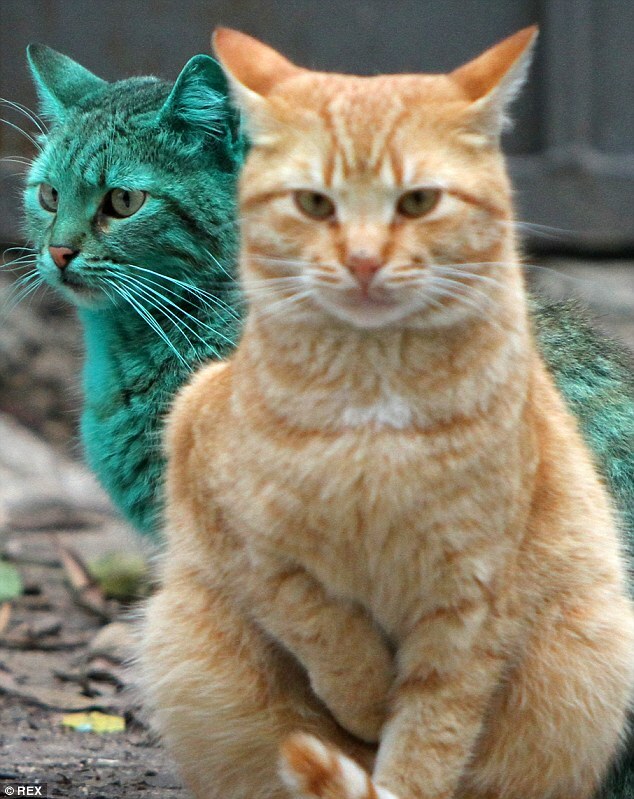 It is hoped that the stand-out nature of the feline won’t influence owners to paint their own cats. The RSPCA has warned that dyeing or painting animals for cosmetic reasons could have ‘potentially fatal consequences’. Some locals were quoted as saying they believe the stray cat was becoming greener each day, fuelling the idea that someone was painting it. An earlier video, which appeared on YouTube, shows the mysterious moggy playing with the same ginger cat it was recently spotted with. Varna is a popular tourist destination as it is the largest city and seaside resort on the Bulgarian Black Sea Coast. 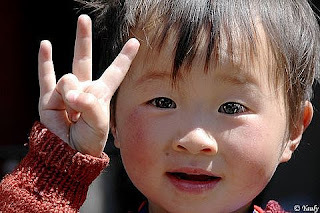 Ela faz parte de um grupo étnico sob domínio chinês, os Uyghur, que surgiu como uma mistureba de uns três povos diferentes - entre eles, os tocharianos, que inclusive falavam uma língua indo-européia. E inclusive, alguns uyghur tem até o cabelo naquela cor entre o loiro e o castanho quando são crianças, lembram bastante europeus. Seres híbridos sempre estiveram entre nós. Who were the Dropa? 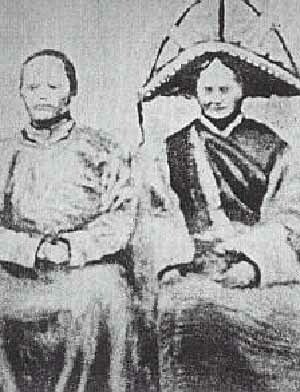 The Dropa (also known as Dropas, Drok-pa or Dzopa) are, according to certain controversial writers, a race of dwarf-like extraterrestrials who landed near the Chinese-Tibetan border some twelve thousand years ago. O que há de mágico neste período de 12 mil anos atrás? Não é a primeira vez que vejo citarem esta data. obviamente excluindo o fato dos Dropas terem dropado aqui na Terra nesta data. 1. Choque de um cometa e chuva de meteoritos que acabou com a cultura Clovis, várias espécies de mamíferos e a Atlântida. 2. Construção da Esfinge por uma civilização perdida descendentes de aliens gigantes. Working from the premise that the Giza complex encodes a message, they begin with recently discovered geological evidence indicating that the deep erosion patterns on the flanks of the Sphinx were caused by 1000 years of heavy rain. Such conditions last existed in Egypt at the end of the last ice age, about 10,000-9,000 BC, meaning that the Sphinx may be more than 12,000 years old (not the generally accepted 4500 years). The authors go on to suggest, using computer simulations of the sky, that the pyramids, representing the three stars of Orion's Belt, along with associated causeways and alignments, constitute a record in stone of the celestial array at the vernal equinox in 10,500 BC. This moment, they contend, represents Zep Tepi, the "First Time," often referred to in the hieroglyphic record. They claim that the initiation rituals of the Egyptian pharaohs replicate on Earth the sun's journey through the stars in this remote era, and they suggest that the "Hall of Records" of a lost civilization may be located by treating the Giza Plateau as a template of these same ancient skies. 3. Data provável do fundamento do templo de Lord Krishna na cidade de Dvaraka por aliens revoltados, recentemente descoberta. 7. Período provável do nascimento do forista Geo. Tinha uma rapaziada indo-europeia que perambulava por estas bandas da China.